On 18th April 2017, Theresa May stunned Britain by announcing a snap election. With poll leads of more than 20 points over Jeremy Corbyn’s divided Labour Party, the first Tory landslide since Margaret Thatcher’s day seemed certain. Seven weeks later, Tory dreams had turned to dust. Instead of the 100-seat victory she’d been hoping for, May had lost her majority, leaving Parliament hung and her premiership hanging by a thread. Labour MPs, meanwhile, could scarcely believe their luck. Far from delivering the wipe-out that most predicted, Corbyn’s popular, anti-austerity agenda won the party 30 seats, cementing his position as leader and denying May the right to govern alone. This timely and indispensable book gets to the bottom of why the Tories failed, and how Corbyn’s Labour overcame impossible odds to emerge closer to power than at any election since the era of Tony Blair. Who was to blame for the Tories’ mistakes? How could so many politicians and pollsters fail to see what was coming? And what was the secret of Corbyn’s apparently unstoppable rise? 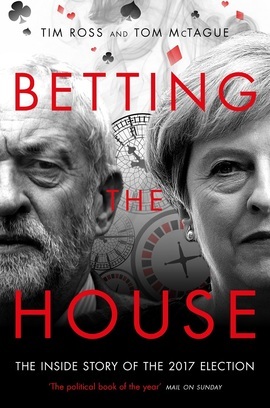 It's the political book of the year: a gripping inside account of what really went on behind closed doors as the Tories bungled to election disaster and just how close the fiasco came to toppling Theresa. Read it in one sitting. Absolutely gripping stuff, a terrific story well told. This is likely to be the definitive account of a most unusual election, one of the great surprises of British political history. The thrilling account of the most dramatic election in recent history. "Compelling [...] A well-constructed narrative which gives a lively account of the campaign while also reflecting astutely on the underlying forces that shaped the result."